HOME > Blog > Compliance for Landlords & Property Managers > Can I Evict A Tenant With Active Military Status? Can I Evict A Tenant With Active Military Service? Being on active military status provides certain protections under the Servicemembers Civil Relief Act. These include civil actions, such as evictions. These protections are in place in order to help our military personnel stay focused on their essential jobs without worrying about their lives back home. But it sometimes becomes necessary to evict a servicemember. The most common reason for eviction is failure to pay rent. But landlords should be aware that even this does not invalidate protections if a tenant has active military status. Landlords who attempt to evict an active servicemember without following the proper steps can face stiff penalties or even jail time. The first step is to verify military service. The easiest way to do this is by simply performing an SCRA search through Servicemembers Civil Relief Act Centralized Verification Service. The SCRACVS can turn your request around quickly and efficiently. His or her spouse, children or other dependents occupy the rental unit. A dependent is someone whom the service member has supported in the last 180 days by paying more than one half of that person’s living expenses. Rent is below a certain threshold. This figure is adjusted every year to match changes in the consumer price index. 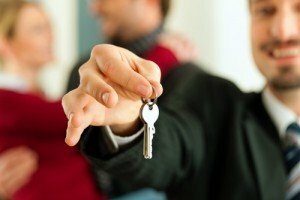 A judge decides that the tenant’s service is materially affecting his or her ability to pay rent. The SCRA allows landlords to serve a termination notice for nonpayment of rent. But he or she must inform the court of the tenant’s status as an active service member. At this point, the judge will decide whether the tenant’s service is affecting his or her ability to pay. If so, the eviction may be stayed for up to three months. If not, the lawsuit may result in eviction. The frustration of dealing with a tenant who is not paying rent and the possibility of months of waiting time may tempt some landlords to begin the eviction process as soon as possible. Often, however, a better course of action is to use the Servicemembers Civil Relief Act Centralized Verification Service. The SCRACVS can provide you with results to your inquiry within 24 hours for $36.40. For an extra $20, we can provide you with an affidavit of military service, which some courts require. If you’re not sure if your tenant has active military status, contact SCRACVS and get your case moving forward.